I ordered two CDs from abroad in the past few weeks. One, a collection of Hebrew songs sung by Dudu Fisher, came from Jerusalem; the other, the first solo album by Charlotte Jaconelli, came from Britain. Despite the best of intentions, I haven’t listened to the Dudu Fisher album yet, but I listened to Charlotte Jaconelli’s album with in a couple of hours of receiving it, and I was not disappointed. 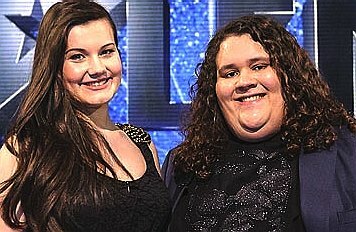 Charlotte Jaconelli was half of an act, with Jonathan Antoine, that caused a sensation when they appeared on Britain’s Got Talent in 2012. They were 16 and 17 years old, respectively, and they were an unlikely looking pair, she already cutting a glamorous figure and he very overweight and very casually dressed, with dark wavy hair falling down to his shoulders. There was the usual eye-rolling from Simon Cowell, and the air of resignation as he walked the teens through their bios. But when Jonathan and Charlotte cut loose — he with a startling operatic tenor and she with a pure pop soprano — the house was on its feet. When the uproar had subsided, the judges were unanimous in their praise, but Cowell, in that delicate way that he has, suggested to Charlotte that she might hold Jonathan back in his career, and told Jonathan that perhaps he should “dump her.” “Well, We came here as a duo,” Jonathan said, “and we’re going to stay here as a duo.” Inexplicably, Jonathan and Charlotte finished the season in second place, behind a dog act, but Cowell signed them to a recording contract and they turned out two albums together. But then they split up because, Charlotte has said, they had different ambitions with respect to the kind of music they want to perform and record. Jonathan’s first solo album is due out in the fall, and Charlotte’s, aptly named Solitaire, was released recently. There are eleven songs on the CD — an odd number, by the way — and they seem to have been chosen so that on this first solo album, Charlotte can demonstrate her range. She performs pop, Broadway, and classical works, and her pure, silvery voice is equally at ease in all of them. One might detect a little bit of caution in this first solo venture; but, on the other hand, Charlotte also did not give in to any temptation to show off, something she has the vocal power to do. 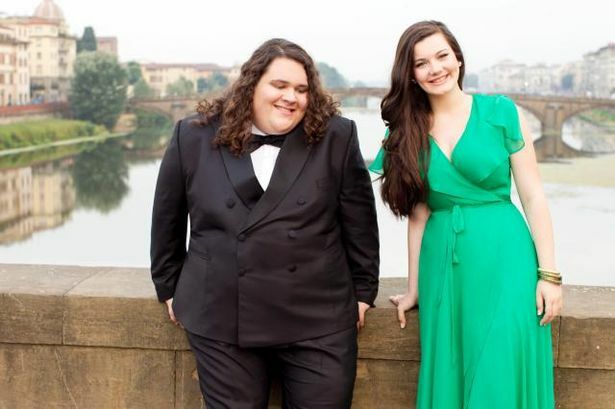 There are two duets (“I Know Him So Well” with Kerry Ellis and “All I Ask of You” with Daniel Koek) that demonstrate again that Charlotte’s voice holds its own with a male counterpart. I was particularly happy to find that the carefully chosen playlist includes “I Dreamt I Dwelt in Marble Halls” from the 1843 opera “The Bohemian Girl.” This is a well-traveled song that has been recorded by performers as diverse as Enya and Sinéad O’Connor. Rosina Lawrence dubbed it for Julie Bishop in the 1936 film version of the opera, starring Stan Laurel and Oliver Hardy. The song has been lampooned at times, but Charlotte Jaconelli’s sensitive performance makes it clear why the tune still has legs after 170 years. 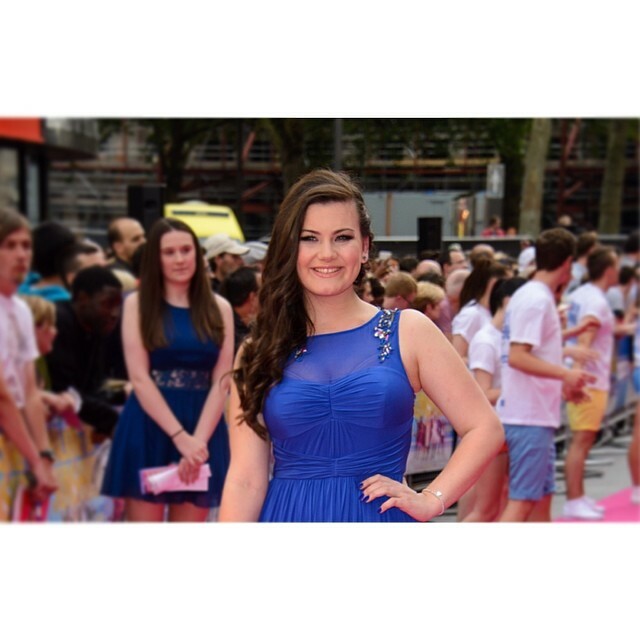 We’re going to be hearing a lot from Charlotte Jaconelli. For now, you can click HERE to see and hear her sing “Pie Jesu,” one of the songs on the Solitaire album.